Ermine on a pale Vert a Quill Or; on a Chief wavy Or a Chinese Dragon Gules, passant, armed and langued Azure. Blazon keywords: Ermine, Pale, Vert, Quill, Or, Chief, Wavy, Chinese dragon, Dragon, Gules, Pasant, Armed, Langued and Azure. Style keywords: Freehand, Spot ink, Pointed and Outlined in sable. Style keywords: Parchment, Spot ink, Pointed and Outlined in sable. Style keywords: Freehand, Illuminated, Pointed and Outlined in sable. Style keywords: Watercolor, Illuminated, Pointed and Outlined in sable. Style keywords: Iridescent, Illuminated, Pointed and Outlined in sable. 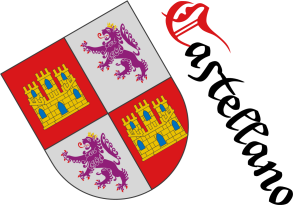 Blazon keywords: Head, Chinese dragon, Gules, Langued, Azure, The eyes, Argent and Sable. Sigue por: Neil Thompson, badge, watercolor. Watercolor, Iridescent, Parchment, Pointed, Armed, Ermine, Azure, Acorn, Bordure, Head, Round, Four, Outlined in sable, Two, Dragon, Chinese dragon, In base, The eyes, Coat of arms, Fleur de lis, Fructed, Personal, Gules, Leaved, Illuminated, Badge, Interpreted, Chief, Langued, Wavy, Or, Pale, Pasant, Argent, Quill, Branch, Oak, Rose, Sable, Vert, Slipped, Thompson, Neil, Spot ink, Freehand, Three and One.